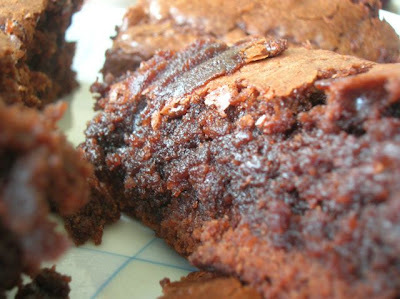 I highly recommend baking your own brownies. Keep them somewhat gooey and break them apart into big chunks. The giant brownie chunks are the best part. 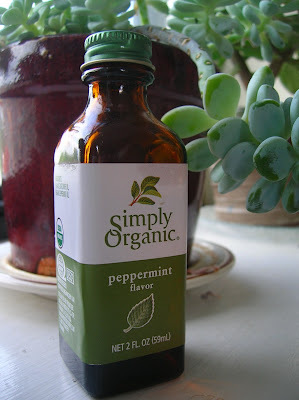 I used peppermint extract to flavor the ice cream. This one is from Whole Foods, but I'm sure you could get it almost anywhere. Combine milk and sugar in a saucepan on medium heat. Stir to dissolve the sugar. In a separate bowl, whip egg yolks. Just as the milk begins to simmer, add about half the mixture to the bowl of egg yolks half a cup at a time, stirring constantly. Slowly pour the egg yolk mixture back into the saucepan, stirring constantly. Keep stirring until a thick custard forms, coating the back of a spoon. Remove from heat, and pour custard in a separate bowl. Stir in cream and peppermint extract. Chill using an ice bath or refrigeration. 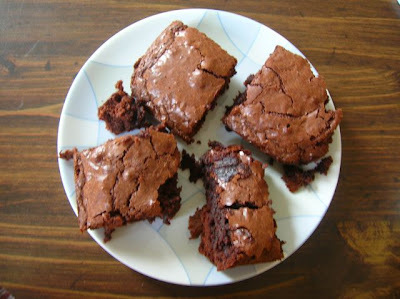 If you've made brownies, break them into chunks and make sure they are cool. When cold, add ice cream mix into ice maker and churn. 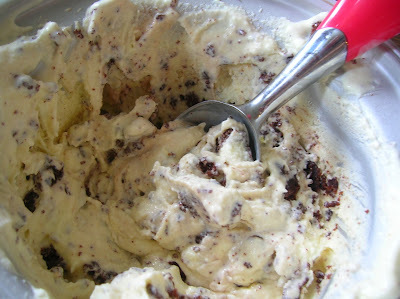 When it's thickened, hand stir the brownie chunks into the ice cream. Exactly what ice cream should taste like. (No offense to the Roquefort.) Delicious! Classic Mint Ice Cream. 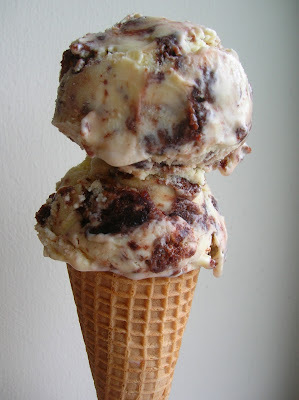 The chocolate and mint flavor profile is still my favorite...no matter how much ice cream I eat! My first time making ice cream. This is absolutely delicious. Thanks for the great recipe! If workout to these videos to the 2nd flooring be careful about ticking off the persons below you. It's aided me to eliminate excessive fat and put on kilos of lean muscle. silent for the duration of procedure. attachments and which also let you to carry out squats plus much more. straps for leg exercises and a user's manual which happens to be genuinely a book. In addition there are Bowflex Treadmill devices readily available. It's integrated memory function aids to maximise exercise and general performance with features this sort of as coronary heart measurement, memory and recall, lowest and optimum heart examining, an additional significant lcd screen along with a total whole lot additional. best to think about could be the main types of dumbbell weights.